This collection is part of a research project focussing on how religious rituals and former ritual objects are presented in selected museums and exhibitions. It starts with the thesis that museums as secular places usually don't offer the opportunity for visitors to approach the (former religious) exhibits in a religious way. But ethnological museums e.g. expose themselves to the balancing act between representation, production and making visible of religious minorities, which is reflected in the latest development of the supporting programme and the research on participation in museums. Central to the study is the area of tension between physical performances of religious rituals and their specification in exhibitions. The examples are located at this interface of performance and presentation of ritual artefacts in an exhibition. 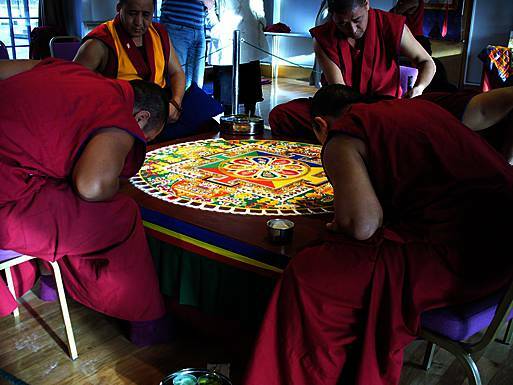 Religious rituals are especially promising as research material, because they can be subject in an exhibition, as well as an event in the supporting programme. 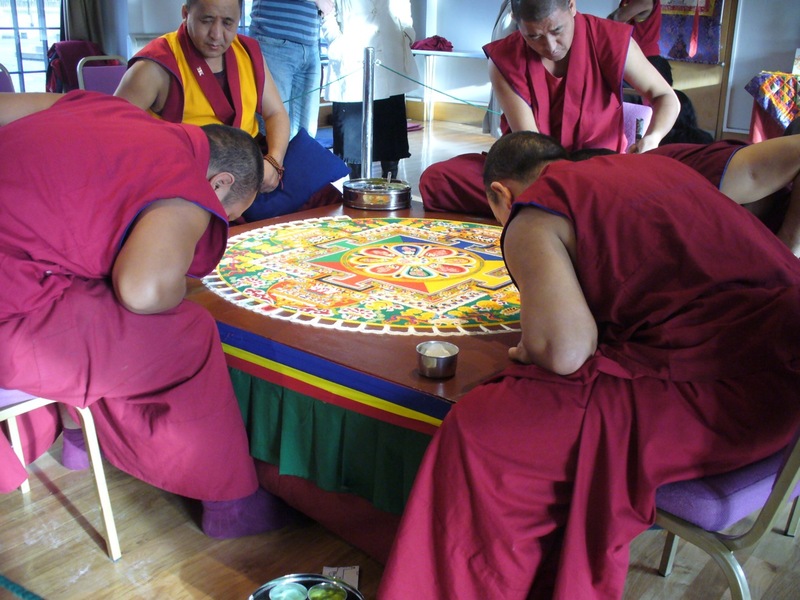 Starting with the Linden-Museum in Stuttgart, South Germany, two non-European ritual performances are studied, which are very popular in European museums as supporting programme: the painting of a Tibetan Sand Mandala (and its preservation in the Linden-Museum, instead of the usual ceremonial destruction) and the presentation of a Mexican Altar of the Dead as part of the celebration of the Days of the Dead. The images were taken between 2011 and 2012 in different museums in Germany and Great Britain. The collection contains exhibition views, photos of ritual performances in museums and programme brochures and flyer. Photos, scans of programme brochures, postcards, flyer und images in exhibition catalogues. Glasgow, St. Mungo Museum of Religious Life and Art, November 2011. 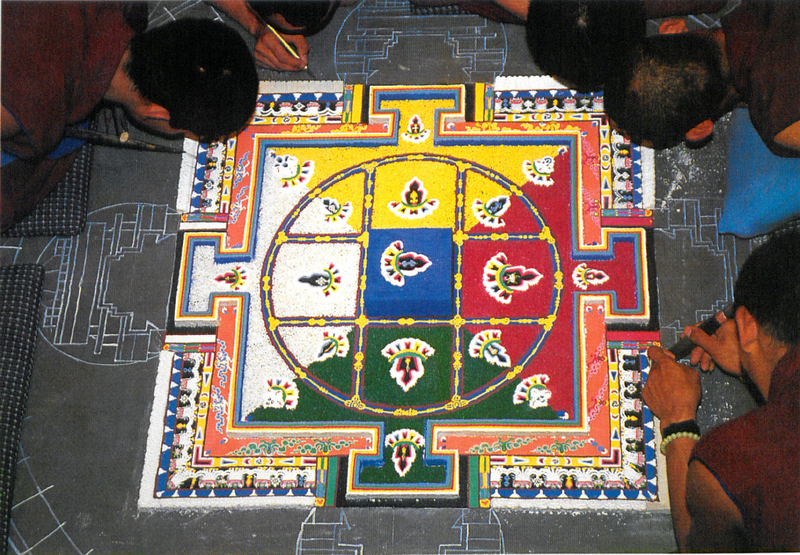 Monks of the Tashi Lhunpo Monastery in Bylakuppe/Southern India painting a Amitayus-Sand Mandala. Linden-Museum, Stuttgart, December 1992. 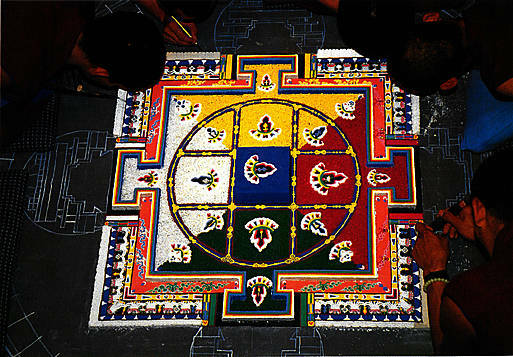 Monks of the Dip-Tse-Chok-Ling Monastery in Dharamsala/Northern India create a Sand Mandala. Photo: Gerd Raisch. 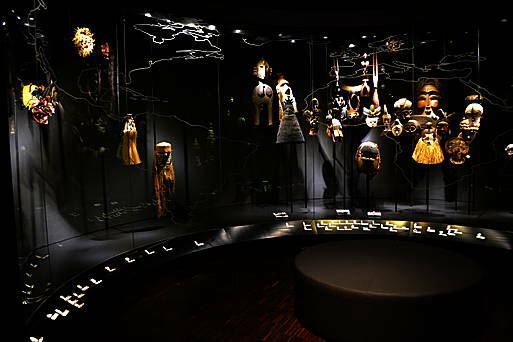 Rautenstrauch-Joest-Museum, Cologne, since 2010, permanent exhibition room: Masks worldwide. Linden-Museum, Stuttgart, November 2012. 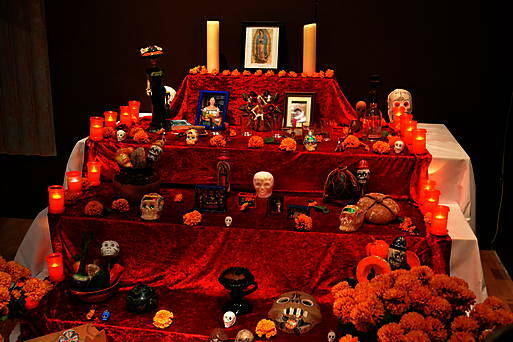 Ofrenda (mexican altar for the ancestors) in the permanent exhibition on Latin-America.